This past week, Ole Miss was on Spring Break. However, that didn’t stop Rebel sports! Here are four thoughts after a big weekend for the Red and Blue. Despite a week off from school for Spring Break, the Rebels didn’t slow down with their recent success across multiple sports. Here, we give you our four thoughts from a great weekend for Ole Miss athletics! 1. The Rebels are dancing again! We expected a tournament bid, but the Rebs scared us with an early exit from the SEC tournament. However, the NCAA Selection Committee determined that the Rebels, with a 20-12 (10-8 SEC) record, are worthy of a shot at the big dance. As a No. 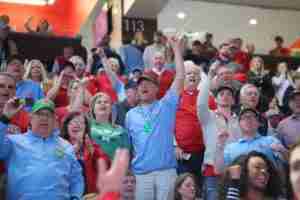 8 seed, Ole Miss will travel to Columbia, SC to take on the No. 9 seed Oklahoma Sooners. Tip off is set for 11:40 a.m. CT on Friday, March 22. Ole Miss finished 36th in the NCAA NET rankings, Oklahoma finished 37th. The Rebels and Sooners have 4 common opponents, Florida, Vanderbilt, Iowa State, and Baylor. Ole Miss lost to Florida by 4, the Sooners beat Florida by 5. The Rebels beat Vanderbilt by 10, the Sooners beat Vanderbilt by 31. Ole Miss lost to Iowa State by 14, the Sooners lost to Iowa State by 1. The Rebels beat Baylor by 8, the Sooners lost to Baylor by 30. Ole Miss shoots 45.9% from the floor, while Oklahoma shoots 44.5%. The Rebels shoot 35.8% from three, and Oklahoma shoots 34.2%. Ole Miss is 107th in the NCAA in rebound margin, while Oklahoma ranks 175th. The Rebels received a great draw in the South region, with No. 1 seed Virginia and No. 2 seed Tennessee. Virginia has a history of choking in March, and in each of the last five years, the team that made the Final Four from UVA’s bracket was a 7-seed or higher. If the Rebels beat the Sooners on Friday, Ole Miss will most likely face UVA in the Round of 32. The Rebels proved a few weeks back that they can play with Tennessee, a team that is in the hunt for the national title. Right now though, Tennessee has hit a bump in the road, after being thumped by Auburn by 20 points in the SEC championship…an Auburn team that Ole Miss beat twice this year. Food for thought. After being swept by Louisville during the week, the Rebels needed a big series win over Alabama at home. It wasn’t a sweep, but Coach Bianco’s team took the series. The Rebels won Game 1 on Friday, 1-0, behind six great innings from Will Ethridge. He finished the day with 9 K’s, 4 BB’s, and allowed just 3 hits. On Sunday, the Rebels pounded the Tide, 12-2, behind 5 strong innings from freshman Gunnar Hoglund. Hoglund tallied 8 K’s and 2 BB’s, while allowing 1 ER and 2 hits. Entering the game with the Tide, Hoglund had 8 total strikeouts all season. The Rebels have struggled on the mound this season, but seeing dominance from Ethridge and Hoglund was huge. If the Rebels want to play in Omaha, they’re going to need lots of big innings from those two guys. This week is big for the Rebels, as they play 5 games. 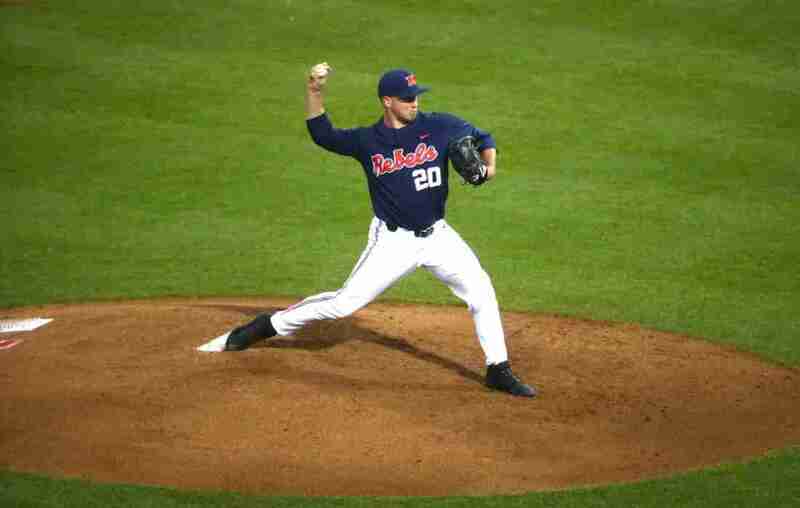 Ole Miss faces Arkansas Pine-Bluff on Tuesday and Wednesday at home. Then over the weekend, they will travel to Missouri to face the Tigers in a 3-game series. This is fantastic news for Ole Miss basketball, as Kermit Davis has taken his team to the NCAA tournament in year one. To put this feat in perspective, the Rebels were projected to finish last in the SEC. The top six teams in the SEC preseason poll, were Kentucky, Tennessee, Auburn, Mississippi State, Florida, and LSU. They all made the tournament, while the next 7 teams did not. Then…all the way at the bottom of the projections were the Rebels who will now be playing as an 8-seed in the NCAA tournament on Friday. 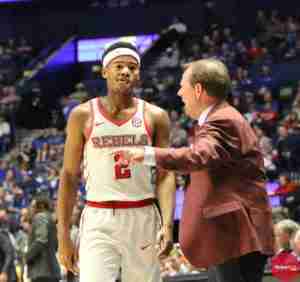 Kermit Davis was brought to Ole Miss to win games and make the NCAA tournament; however, most people thought it would be two to three years before we saw real progress, as it takes time to build a program. Well, Kermit shoved all that aside, taking a relatively inexperienced team and putting together a phenomenal season that included two wins over top-15 teams, a 24% increase in attendance for SEC games (highest in the SEC), five sellouts, and an average home attendance of over 9,000. I would venture to say that Rebel fans can expect improvements like this–and NCAA tournament–for many years to come. After a nine-day hiatus for spring break, the Rebels are back in action this week with spring practices six and seven of 15. Before the Rebels headed out for the break, these were the first units we were seeing. Please note that this is all very, very fluid and subject to change, based on injury as well as a large number of players from the 2019 recruiting class who have yet to arrive on campus. Benito Jones, Josiah Coatney, Jaylon Jones, and Montrell Custis were all in non-contact green jerseys before the break. All are expected to be starters and major contributors. This past week was good for the Rebels, however, they can’t be content with what they have. The baseball team has a chance to pick up five wins this week, and three big SEC wins on the road as they travel to face the Missouri Tigers. Those would be huge victories as the Rebels have been a bit up and down as of late. 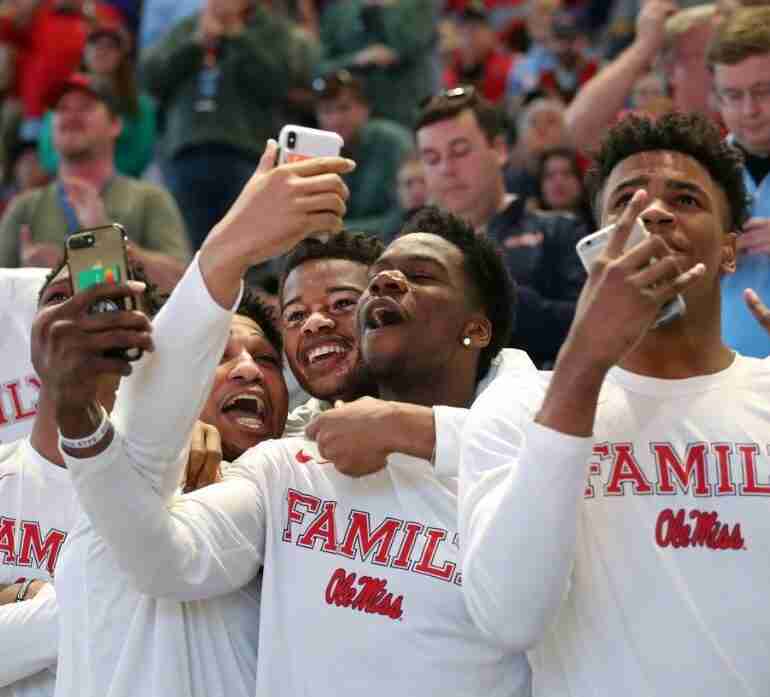 It’s fantastic that Ole Miss has made the NCAA tournament. Nobody saw that coming at the beginning of the year, yet here we are! 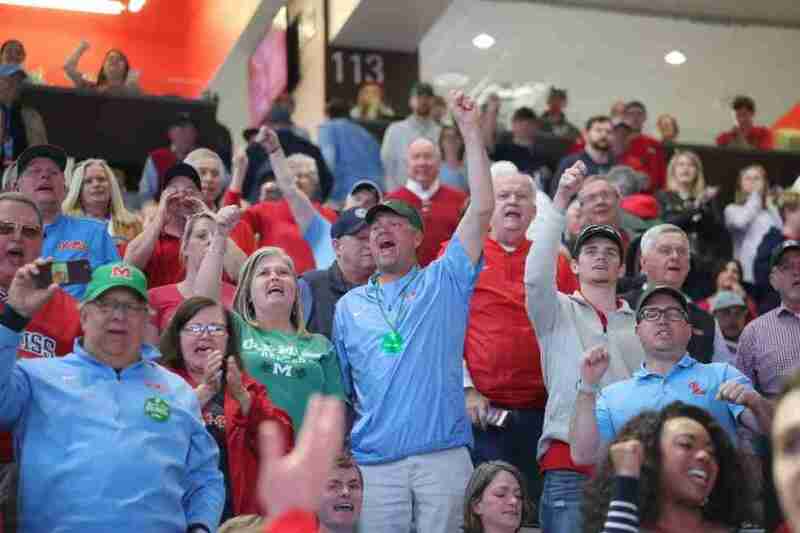 It seems like a crowning achievement to even get a bid to play in March, but the Rebels need to pick up at least one win in the tournament to really put a nice cap on this year. That’ll help recruiting and momentum as we head into year two of the Kermit Davis era. Spring football picks back up this week, and the Rebels need to keep improving. This team lost a ton of talent to graduation and the NFL Draft; however, they’re all holes that can and will be filled. The next few weeks will be huge as we head into the Grove Bowl on April 6th. Last week was big for the Rebels, but this week is even bigger.